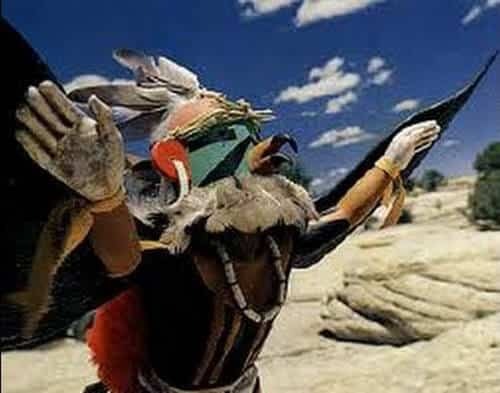 The Hopi Indians’ Blue Star Kachina Prophecy—Is it Happening Right Now? The legend of the Blue Kachina also corresponds with Mayan prophecies and the Planet – X theory, suggesting an interdependence between Hopi assumptions and those of the Mayan civilization. 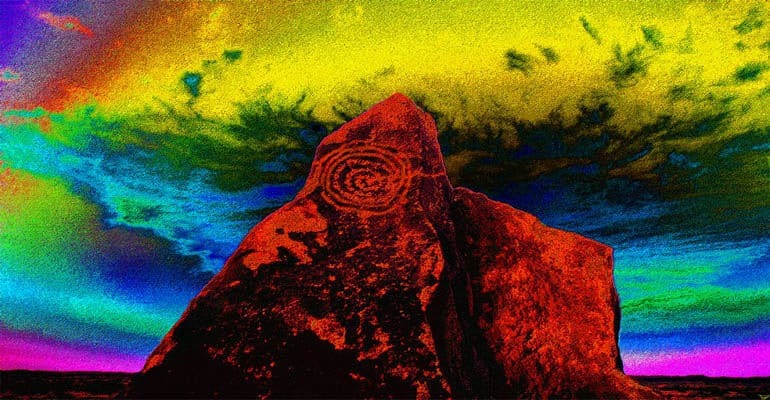 Furthermore, another link is formed between the Hopi legend of Pahana and the Mesoamerican myth of Quetzalcoatl, connecting the Hopi to certain North American Indian cultures who worship the Horned Serpent. Other ancient mysteries tend to relate with many genesis stories and religious beliefs of other archaic civilizations in both South and North America. The Hopi claim that four stone tablets of creation exist. In ancient times, these tablets were given to them by Massau – The Guardian of the Underworld, who requested that the tablets be kept until a number of signs were fulfilled at the end of the fourth world and the beginning of the fifth. When the signs appeared, the Hopi were advised to reveal the tablets and their prophecies to the world regarding the purification of Earth. The Nine Signs of Destruction were described by author Bob Frissell in Something in this Book is True. The signs were described to him in 1958 by a Hopi elder named White Feather. This is the Second Sign: Our lands will see the coming of spinning wheels filled with voices. In his youth, my father saw this prophecy come true with his eyes. This is the Third Sign: A strange beast like a buffalo but with great long horns will overrun the land in large numbers. These White Feather saw with his eyes. This is the Fourth Sign: The land will be crossed by snakes of iron. This is the Fifth Sign: The land shall be crisscrossed by a giant spider’s web. This is the Sixth Sign: The land shall be crisscrossed with rivers of stone that make pictures in the sun. This is the Seventh Sign: You will hear of the sea turning black, and many living things dying because of it. This is the Eighth Sign: You will see many youth, who wear their hair long like my people, come and join the tribal nations, to learn their ways and wisdom. The Ninth sign, as White Feather told Frissell, is a herald of destruction: “You will hear of a dwelling-place in the heavens, above the Earth, that shall fall with a great crash. 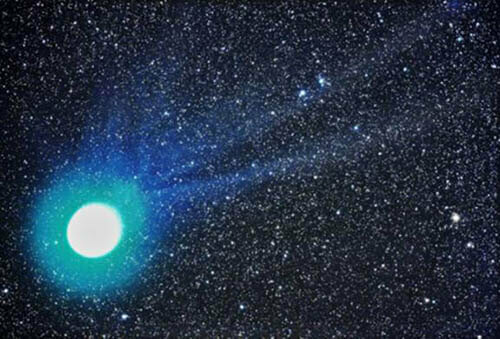 It will appear as a blue star. Very soon after this, the ceremonies of my people will cease. Many believe the first eight signs have already been fulfilled. The First Sign can be interpreted as the arrival of Europeans on the North American continent. The Second is a reference to the early exploration of America, using the wagon as a primary means of locomotion. The next three Signs point to other European influences, such as the arrival of cattle, and the emergence of railroads and telephone lines. The “rivers of stones” mentioned in the Sixth Sign can only be roads and highways. The Eight Sign is pretty self-explanatory and encapsulates the symptoms of worldwide pollution. The Hopi believe the increased toxicity levels in the Earth’s oceans are a clear indication that the second-to-last sign is already upon us. Is this yet another wrongfully-interpreted prophecy, a metaphoric cow milked to exhaustion by authors with no other interest than to sell their books? Or are the peaceful Hopi really the keepers of ancient sacred knowledge, passed down from a time when man walked alongside the gods? Only time will tell but, until then, our own conceptions and beliefs will dictate our attitude towards this subject.